Diocese of Chester | "Living away from their children is the hardest thing to take"
"Living away from their children is the hardest thing to take"
Mrs Lisa Davies is Managing Chaplain at HMP Styal, a women's prison in the heart of Cheshire. Here she shares some of her story of becoming a chaplain and paints a picture of what Christmas looks like for those behind bars in our diocese. "Christmas is especially difficult on the inside, and especially Christmas Day itself, but we do try to make Christmas as painless as possible for the women. 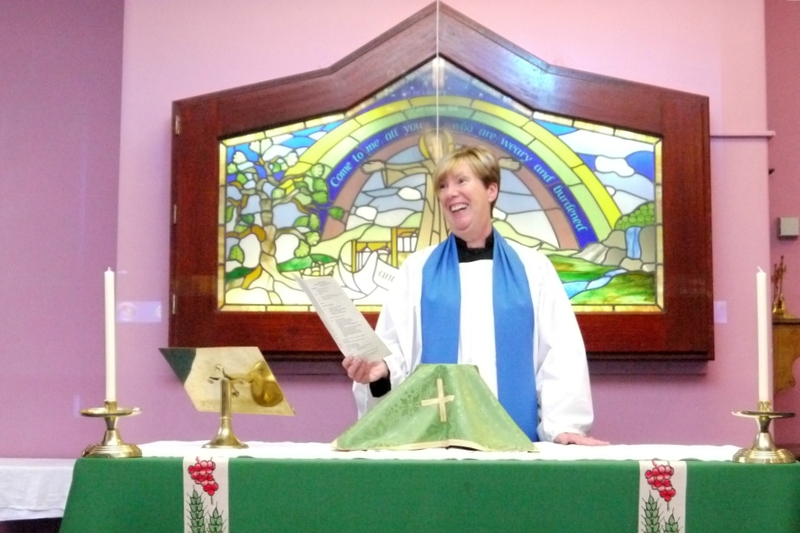 I became a chaplain after being made redundant. I was looking for work when my friend asked me if I’d like to go along and help her in the classroom of HMP Hindley, a young offenders prison at the time. I walked in and realised right away that this is somewhere I was meant to be. I soon became a teaching assistant and later completed my teaching qualifications. My main role was to induct the young men coming into prison. It was more pastoral than teaching and I enjoyed it. After some time gaining prison experience and working with prisoners, I applied for a fulltime role as a Restorative Justice Chaplain, running a prison course called SORI (Supporting Offenders through Restoration Inside). The course brought together perpetrators of crime and their victims. In one instance a young man convicted of murder met the deceased’s mother. The eventual outcome was that the mother put her arms around the perpetrator and told him that she understood how he had come to kill her son. What she’d read in the papers hadn’t been accurate, and the messy reality of the event was much different. This was a positive outcome to a voluntary mediation process and afterwards, they were able to support each other. I’m now the Managing Chaplain at HMP Styal, a women’s prison in the heart of Cheshire. I think the complexity of needs for women are far greater than they are for men, but God’s presence here is very real. God can walk through walls and he does. He is very much within the prison walls and within the women here. Here at HMP Styal, there is often just a basic regime at Christmas due to a shortage of staff as we take time off to be with our families. In the run-up to Christmas, the women will spend their time making decorations out of old Christmas cards and we’ll organise quizzes and games of bingo. We encourage those in self-catering houses to buy a chicken and vegetables and to cook a Christmas meal, and we’ll allow others to eat their Christmas dinner out on the wing instead of alone in their cell. I know that when women here hit rock bottom, they turn to God. They often use faith and the chapel as a safe place to go to help pass the time. If you come into a prison of 450 people and your experience of prison is based on what you’ve seen on TV, who do you trust or go to? 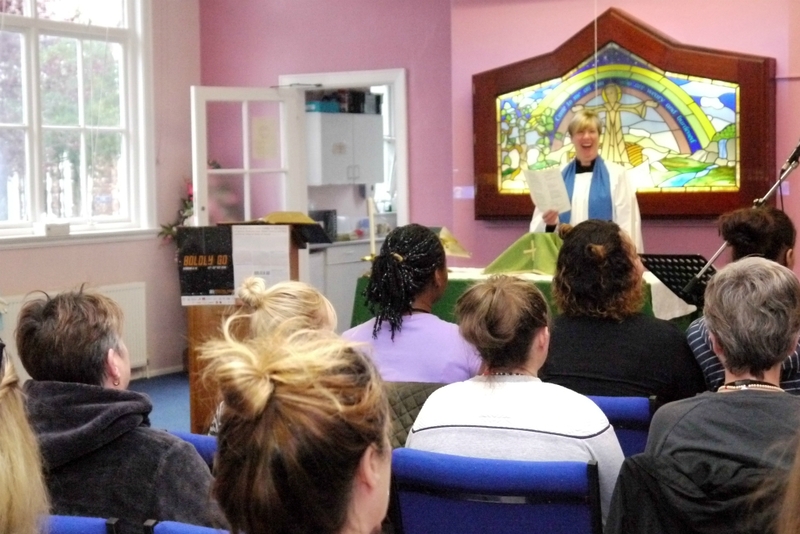 The chaplaincy team offers pastoral support and we help to facilitate trusting friendships that will sustain the women through their sentence. At Christmas time the church here is in many ways no different to the church on the outside. We hold regular Sunday services, we observe Advent, and on Christmas Day we will gather as a community to sing carols and read the lessons – just like any other parish. For a lot of women, living away from their children is the hardest thing to take – especially at Christmas time. The women don’t receive presents, but they do have the opportunity to call home on Christmas Day resulting in 200 people clamouring to use one of the two phones available to them. The women will normally manage this for themselves, taking it in turns to call their loved ones. Some choose to ring for their children’s sake; others choose not to call at all finding it too painful to hear everyone having fun and enjoying Christmas on the outside. Research that I’ve carried out as part of my studies has shown that many women will defer their responsibilities for their children to God. They know that matters are out of their hands, but they can pray to God and trust that he will protect them in their absence. Please pray for the prisoners of our diocese this Christmas and all those affected by the crimes that they’ve committed." Want to help in some way? Earlier this year the Diocese of Chester launched Journey into Light, an exhibition of artwork produced by prisoners from HMP Styal and HMP Throncross. Over forty parishes are hosting the exhibition between now and the summer of 2019. To find out more, see the Journey into Light page for details on where and when the exhibition will be on display.